Volleyball lost in the final of the Atlantic-10 Championship at the Siegel Center on Sunday afternoon to arch-rival Dayton 3-2. It was the fifth match of the last 6 between the two teams to require the tie-breaking set. VCU jumped out to a 10-7 lead in the final set before allowing an 8-2 run to Dayton. The victory marks a sense of revenge for the Flyers, after watching VCU celebrate on their home court in 2017. 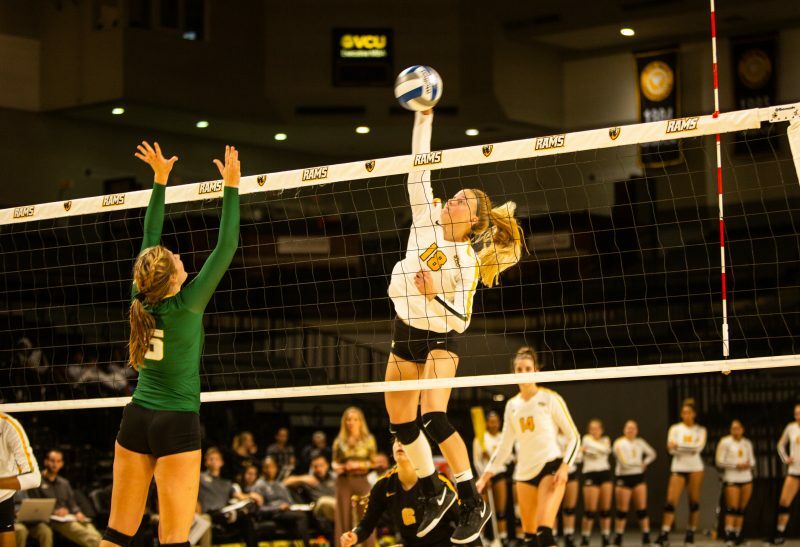 VCU will be at the mercy of the Volleyball selection committee for an at-large big into the NCAA tournament as VCU is ranked 60th in the national RPI rankings. However they do have the A-10 regular season championship and two victories over No. 35 Dayton on its resume. Dayton wins the 2018 Atlantic-10 Championship defeating VCU 3-2 in five sets on Sunday afternoon. Dayton won the fifth and final tie-breaking set 15-12 after going on 8-2 run in to win the match. The championship will come down to a first to 15, fifth set after Dayton won the 4th set 25 to 16. Dayton dominated offensively in the set, hitting at .439 rate while holding VCU to a .222 clip. The match is tied 2-2 in the best of five match. It is the fifth time in the last six matches VCU and Dayton have gone to five sets. VCU wins the third set on 25-19 to take a 2-1 set lead in the A-10 Championship match. The Rams finished the third set on a 8-0 run, with the of the points cominf on combination blocks from senior Julia Adler and junior Jasmin Sneed. Gina Tuzzolo finished off the set with two service aces on her final three serves. VCU is one set victory away from its second consecutive conference championship. Dayton has taken control of the set, at point going on a 9-0 scoring run, and took the set 25-15 to tie the match a 1-set apiece. After posting a .286 hit percentage in the first set, VCU was held to a .000 percentage in the set. Dayton outblocked VCU 5-0 in the set, usually a stat VCU dominated throughout the season. Sparked by a 6-point run, VCU pulled away from Dayton to win the first set 25-18. The run initiated by a block from Tori Baldwin and Gina Tuzzolo. Volleyball advanced to the Atlantic-10 Championship with a 3-0 victory over Saint Louis on Saturday. They will faceoff against the winner of No. 2 Dayton and No. 3 La Salle. 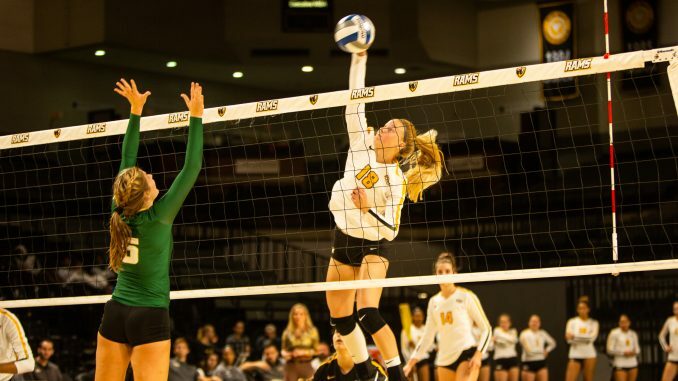 The semi-finals of the Atlantic-10 Volleyball tournament take place at the Siegel Center on Nov. 17. Top seeded and tournament host VCU takes on No. 5 Saint Louis in the first of two semi-finals with No. 2 Dayton and No. 3 La Salle competing in the second matchup. VCU is the defending tournament champion and the 2018 regular season champion.